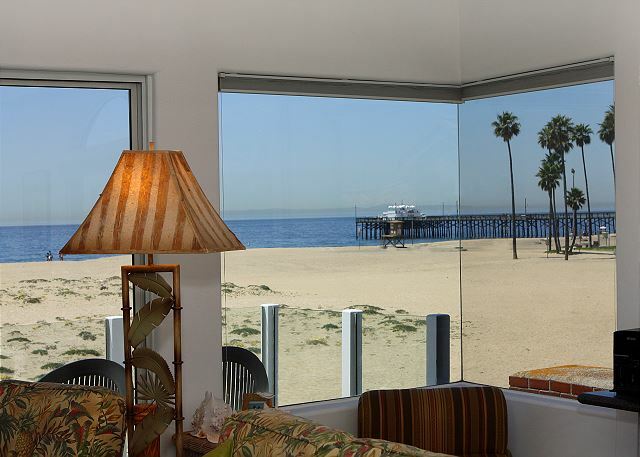 Unparalleled views of the ocean, Catalina Island, Balboa Pier and Newport Harbor beckon visitors, but peace, quiet and serenity will keep guests coming back to this gem of a property. 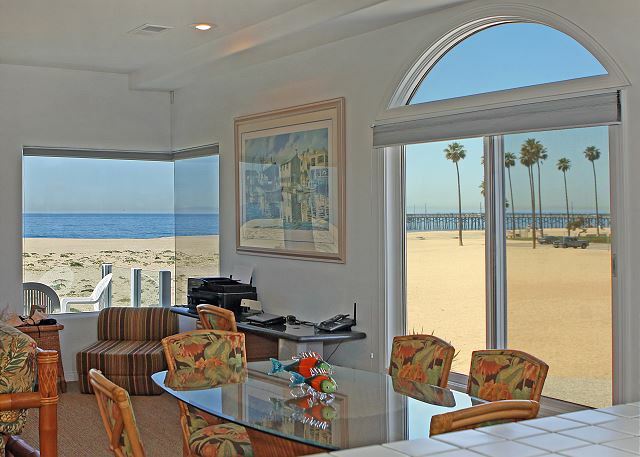 The large oceanfront balcony is the ideal perch for enjoying cool ocean breezes and breathtaking views. 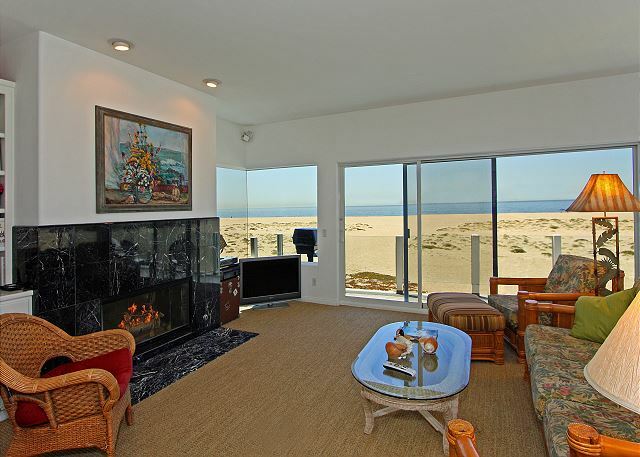 The living area is light and bright, with a marble fireplace, flat panel TV and Tommy Bahama style furnishings. 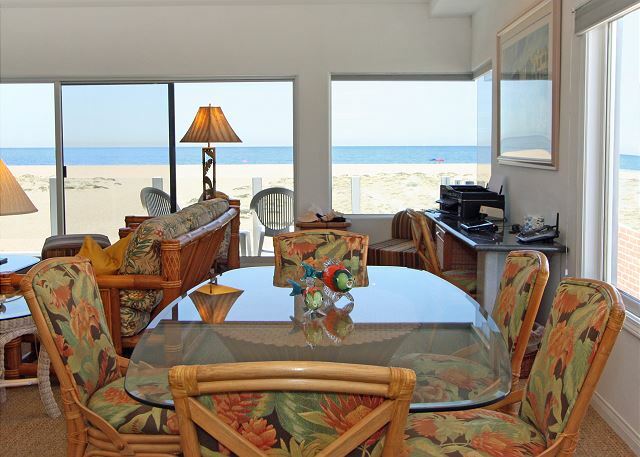 A couch and several comfy side chairs provide seating for the whole family to relax after a long day at the beach. 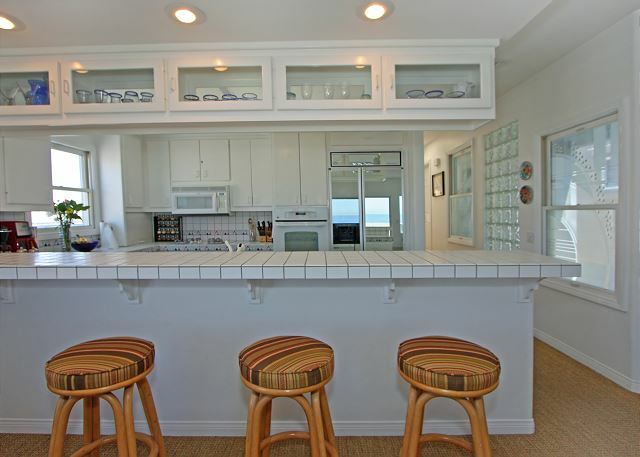 The dining area with the same amazing views and a beautiful glass-topped table and tropical chairs. A handy corner desk is available for completing any official business that needs tending during your stay. 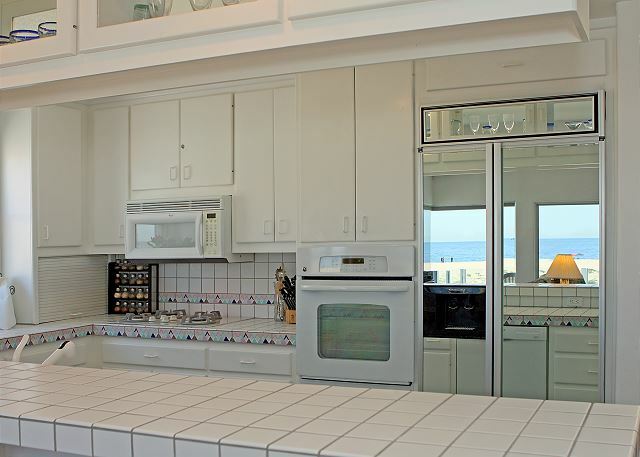 The tiled kitchen is beautifully equipped with a mirrored refrigerator – so you can continue to enjoy ocean views even with your back turned! 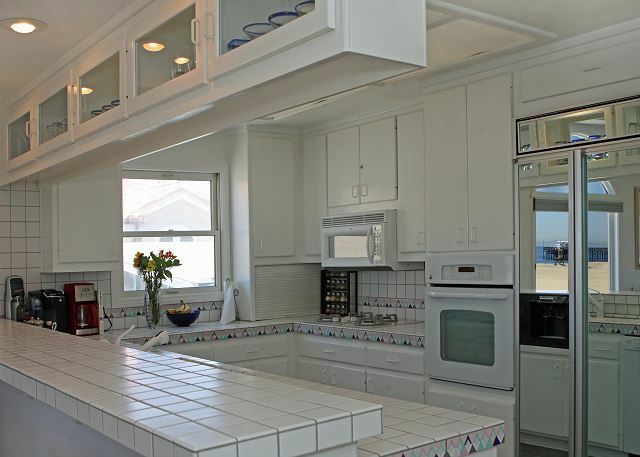 - and all the essentials, including a dishwasher. There are several bar stools for fast casual meals at the counter. 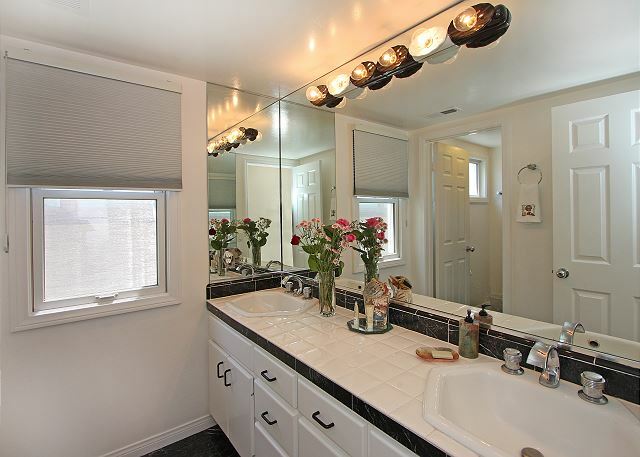 A half bath is located just steps away from the kitchen at the base of the steps to the hallway next to the laundry room with full-size washer and dryer. 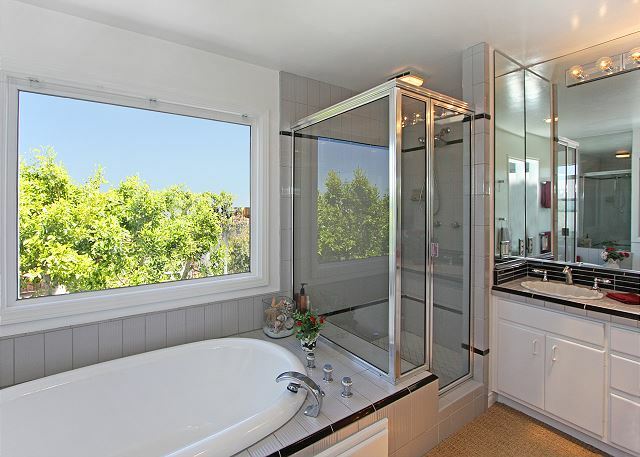 The home has three bedrooms - the master suite has a king bed and beautifully tiled bathroom with luxurious tub and separate walk-in shower, both with bay views! 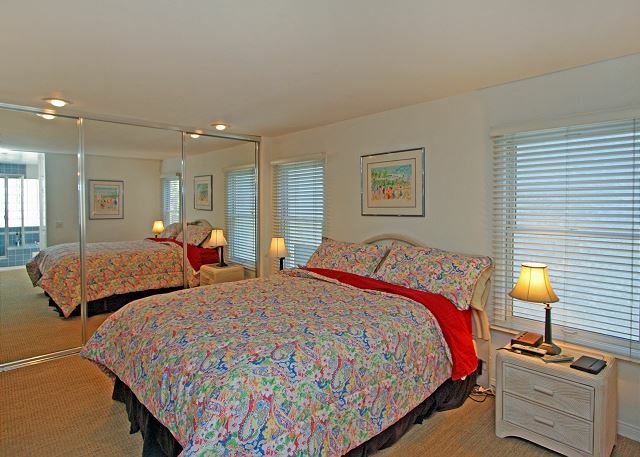 The first guest bedroom has two twin beds and two inflatable twin aero beds in the closet. 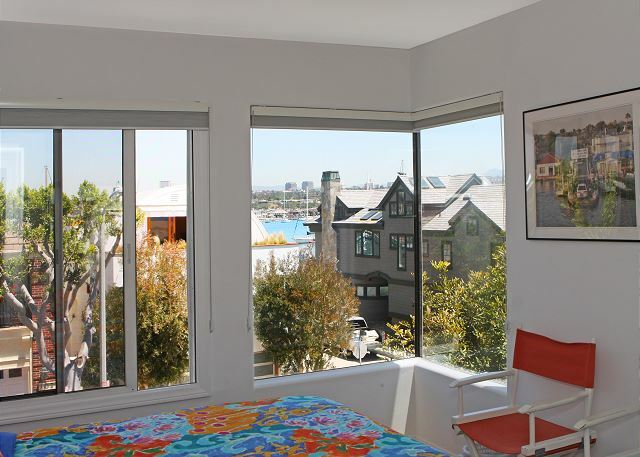 The rear bedroom has a king bed, wall-mounted flat panel TV and harbor and city views. 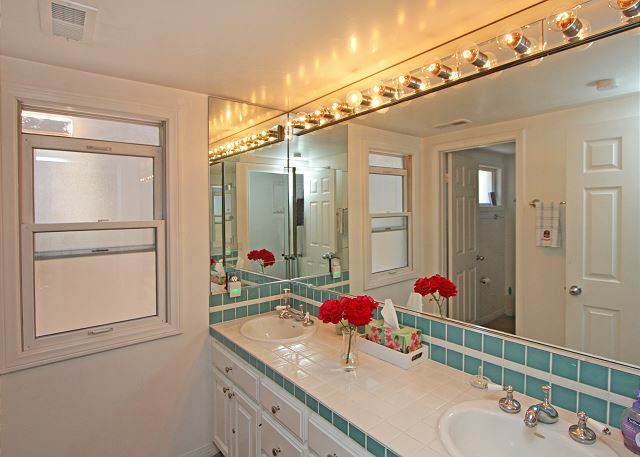 The shared hall bath has double sinks and a tub/shower combination. 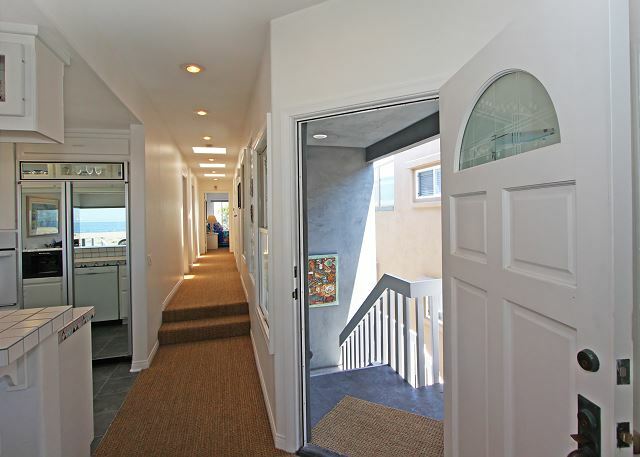 Next door, a laundry room contains a full size washer and dryer. Outdoor space accents the home’s living space. 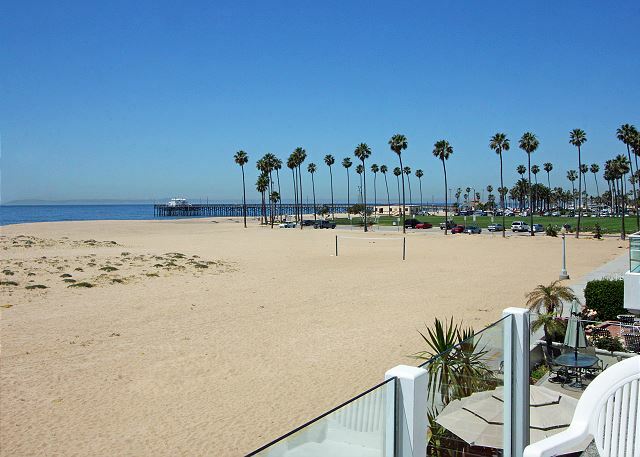 Views from the deck patio include the Balboa Pier and all points south east and northwest to Palos Verdes. Extra perks include tandem parking for two cars in the garage. 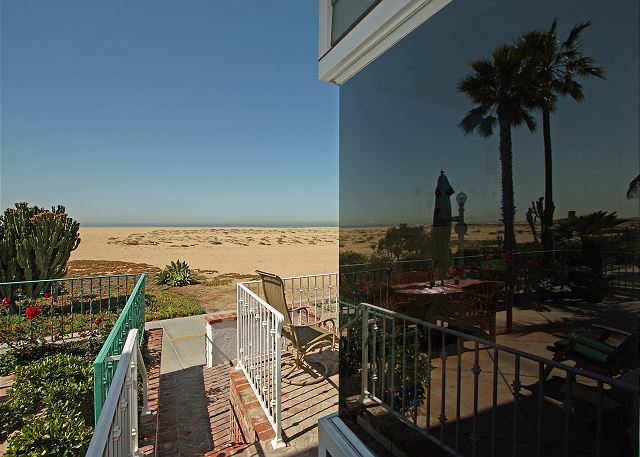 The beach is at your feet, the bay just steps away at this well-located vacation rental. 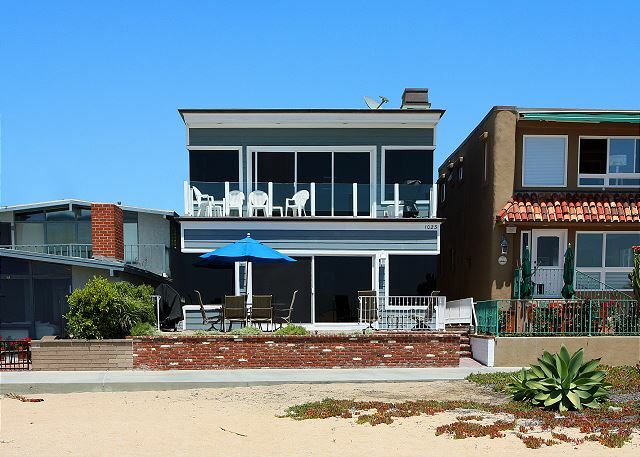 The home is situated a short stroll from the Balboa Pier, Balboa Pavilion and surrounding boutiques and eateries. Visit Ruby's Diner for burgers and salads at the pier’s end, where fishermen ply their trade and dolphins frolic frequently. Children will love the playground at the base of the pier with an open, grassy lawn for running around and playing games. 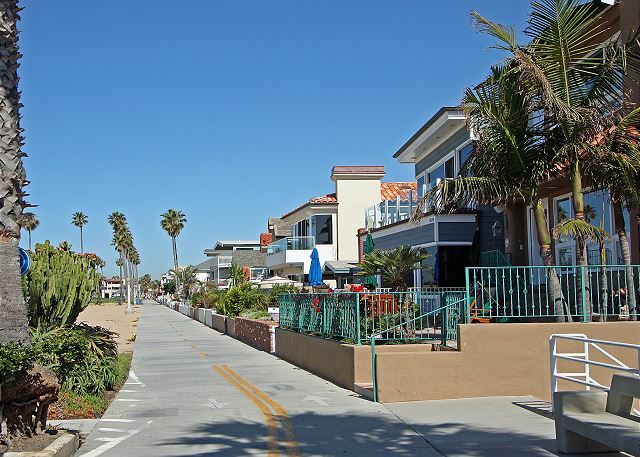 Balboa Village offers dozens of dining options - Mint Leaf and Great Mex are casual local hangouts, BJs Pizza and Cruisers are known for pizza and Newport Landing and Harborside have terrific happy hour specials every day in the Saloon, and fresh fish and beautiful bay views from the dining room. 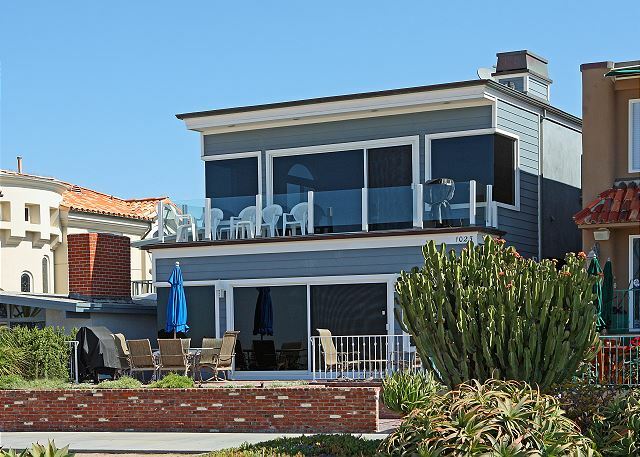 Catch the ferry to Balboa Island via car, on foot, or by bicycle to stroll among coastal-chic shops and cafes. 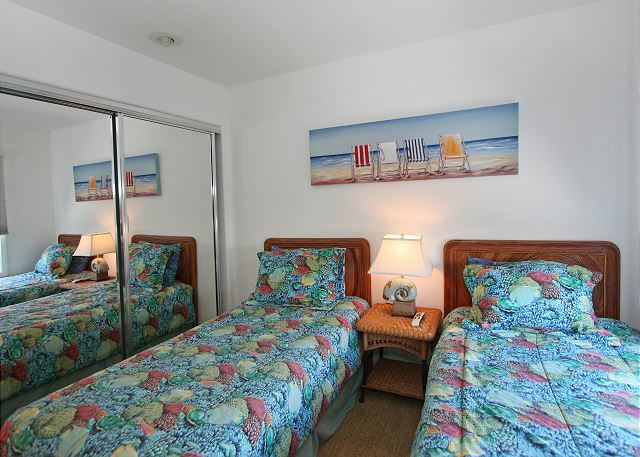 Deep sea fishing and whale watching excursions can be booked through Davey’s Locker at the Pavilion. 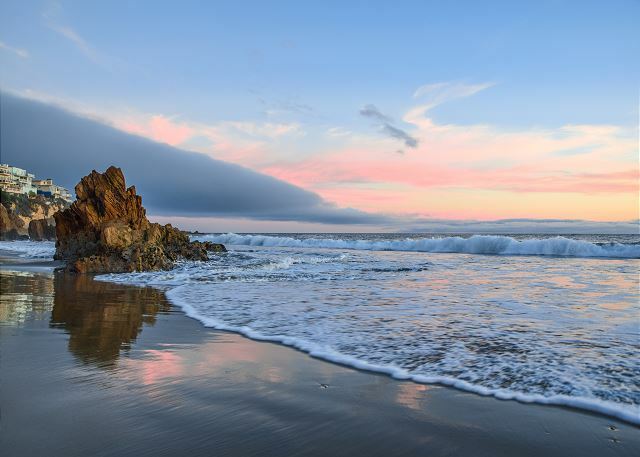 Options for family fun abound in Balboa! We rented for 10 days and would definitely rent this location again. The owner was very nice and helpful. It was very nice to have a 2 car garage as parking around there is very difficult on weekends. The location is very close to the Ruby's Pier but far enough that we didn't hear any noise at night. 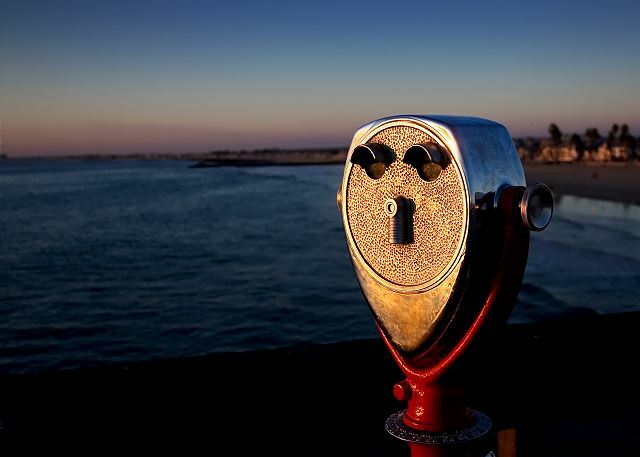 We are glad to hear that you enjoyed your time at the beach! 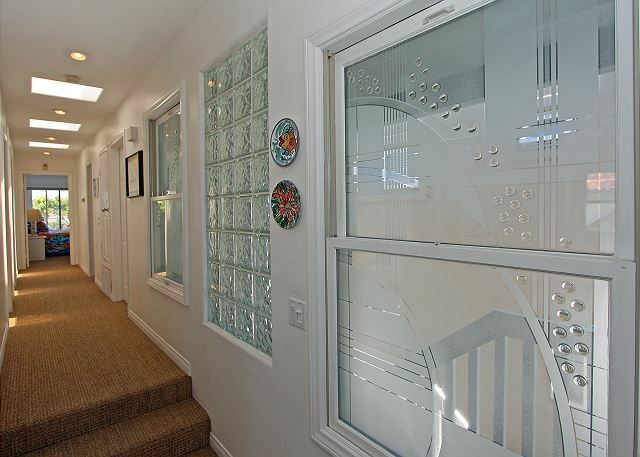 This home is in a wonderful location and we look forward to seeing you again next time! awesome! The owner said he may rent unit A next year. We would like A if it becomes available. 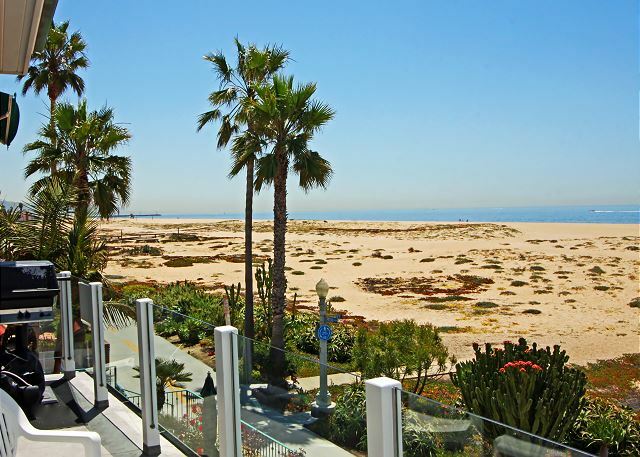 We are thrilled that you enjoyed your stay in Newport Beach! 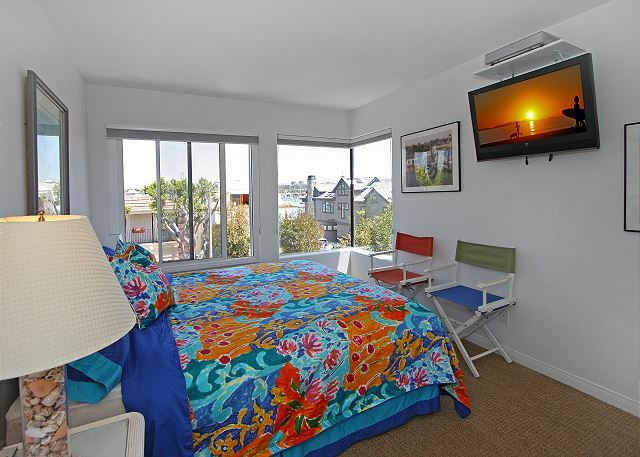 Please contact us before scheduling your next trip for updates on A unit availability!